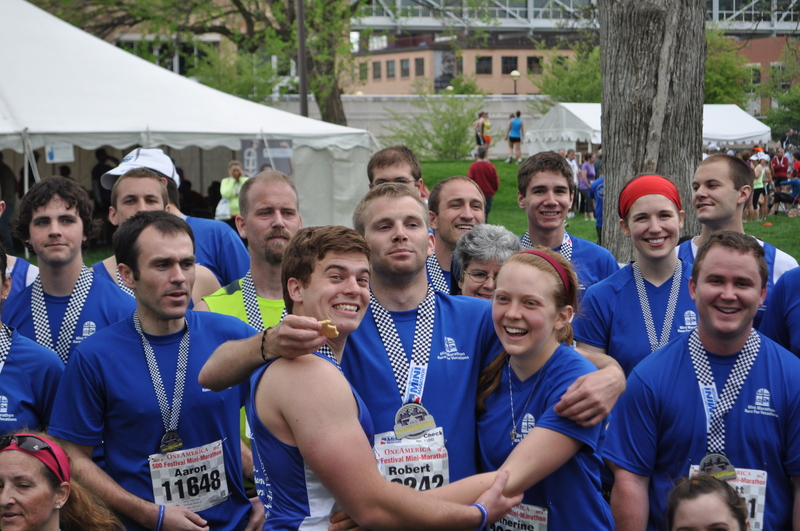 Each year, the Race for Vocations has the best kickoff anyone could ask for: the Holy Mass! 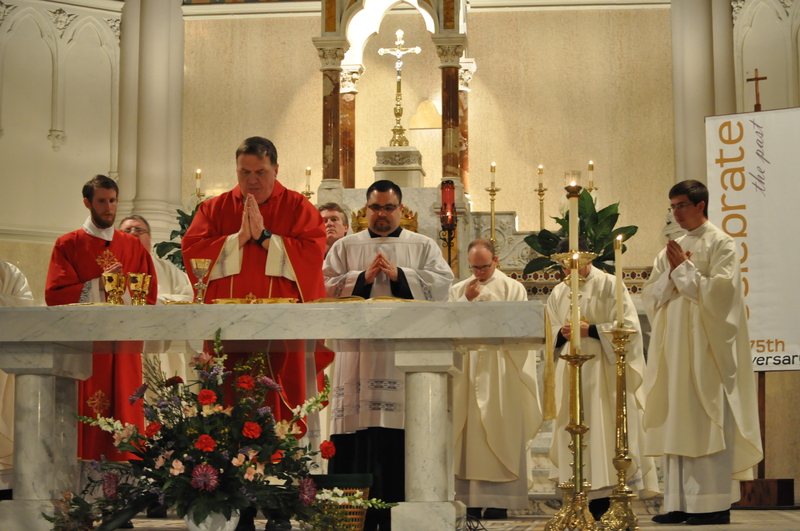 The bishop presides at a beautiful Mass at the historic St. John the Evangelist Catholic Church, right across the street from the Indianapolis Convention Center. Its address is 126 W. Georgia St. Indianapolis, IN 46225. Mass begins at 6:30pm. Please join hundreds of other participants at this wonderful event! Pick up your shirts at this Mass! Sign up for the pasta dinner!! 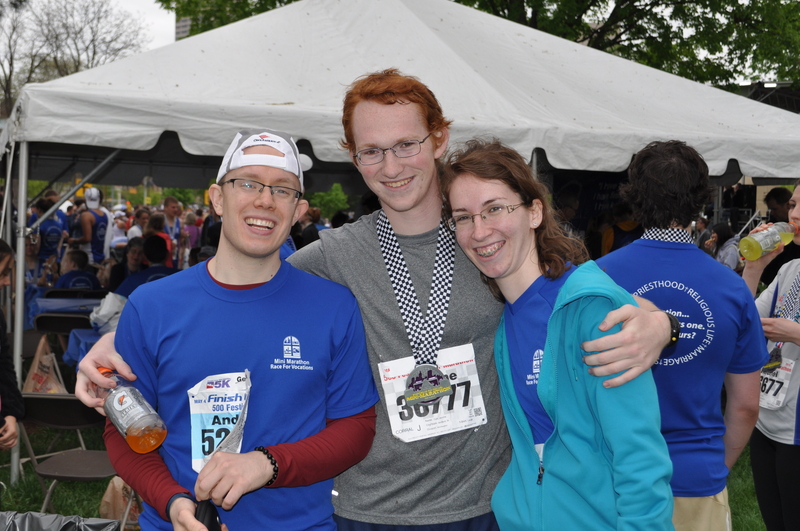 After the race, please join other Race for Vocation participants at the Race for Vocations tent and enjoy refreshments and good company!